iPhone 4 was officially reseased during the hot 2010 World Cup. Many people have great zeal for it jus like the passion that they have devoted to their favorite teams or players. so lot’s of fans go to purchase iPhone 4. And that’s why AT&T announces that all their iPhone 4 have been already sold out. However, it sames that with the end of World Cup this portable device also “take on a new look”. The more people use, the more problem come up. Many users have found the hot-selling device’s reception signal is not very well if it touched in a certain way. But, the company has said all cellphones suffer some signal loss when cradled in different ways, and suggested that a software glitch might have misled users by overstating signal strength. Judging from the sell amount, such sayings seem very effective. The fact is that some brand cellphones also have poor reception. 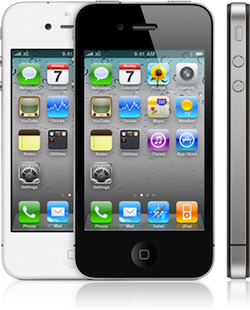 And the most important thing is that iPhone 4 has many other powerful functions that attracts so many customers. As a result, iPhone 4 is appraised as the most intelligent cellphone, according to the poll. Here, I prefer to mention one of its practical features- HD video recording. I believe most people are familiar with it. Then, how do you enjoy HD video on your iPhone 4 smoothly and quickly? If you have a HD video converter, it may become an easy case. Among so many converters, I recommend Leawo HD Video Converter that enrich your life to enjoy HD video on your iPhone 4 at anytime and at anyplace. You just need to have a try. What’s more, downloading this setup for free just costs your two minutes.